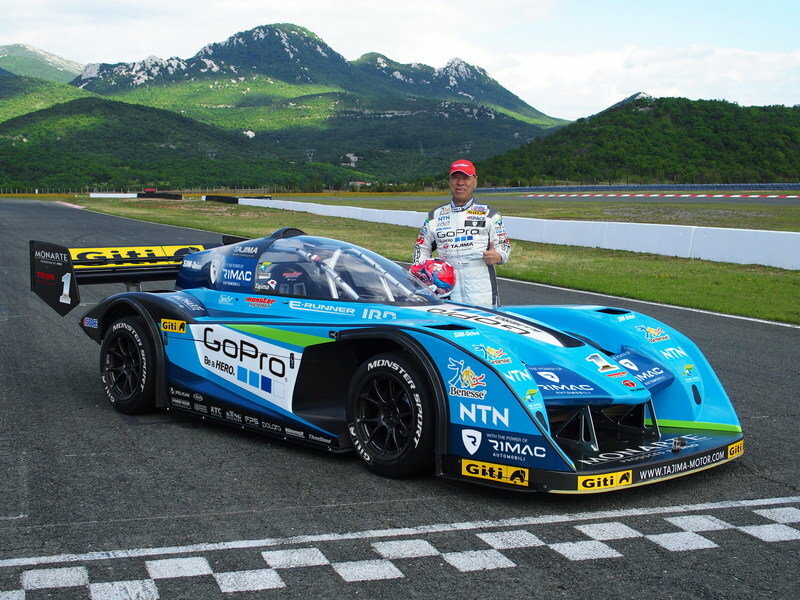 Nobuhiro "Monster" Tajima, arguably one of the quickest drivers the world has seen, is returning to the 2015 Pikes Peak International Hill Climb with the Tajima Rimac E-Runner Concept_One. Developed and built by Nobuhiro’s own shop, Monster Sport, in cooperation with Rimac Automobili, a Croatian manufacturer known for the Concept One electric supercar, the E-Runner Concept_One is set to become the most powerful EVs to race at Pikes Peak. The project brings together not only "Monster" Tajima’s storied experience with the "Race to the Clouds," but also Rimac’s state-of-the-art drivetrain technology, including its All Wheel Torque Vectoring System and small and light, but still efficient battery pack. Their goal is quite ambitious: to break the previous track record for electric vehicles. "We are quite confident that Tajima Rimac E-Runner Concept_One will break previous year’s record. He is a great driver with tons of experience. With the support of our best engineers and technicians, our technology, powertrain, battery-system and Torque Vectoring, he will be able to push the boundaries of electric race cars to a whole new level,” said Rimac founder Mate Rimac. The 2015 Pikes Peak International Hill Climb is scheduled to take place on June 28th. Until then, let’s have a closer look at the E-Runner Concept_One. 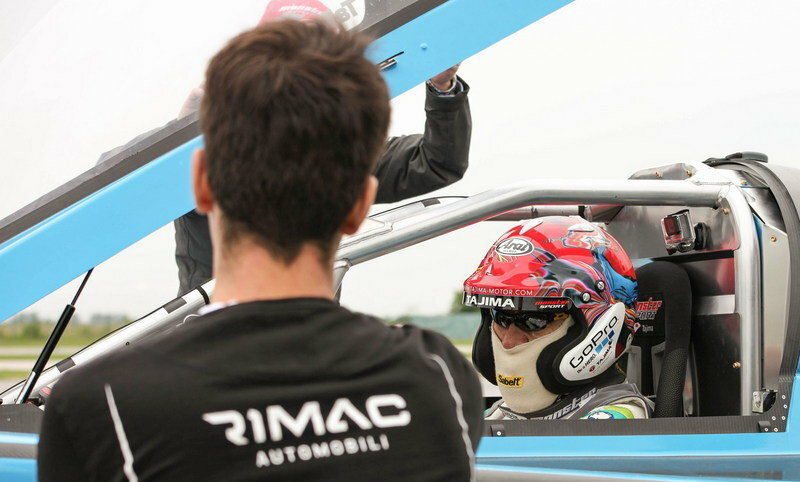 Continue reading to learn more about the Tajima Rimac E-Runner Concept_One. Although Tajima and Rimac released only one photo of the all-electric race car, it’s enough to see that this vehicle was built to break records and top Pikes Peak at an incredible pace. Take the canopy off and this thing looks like a classic Can-Am car. Keep it on and it’s some sort of Le Mans prototype. It’s low-slung and aerodynamic, it has a massive splitter and sharp fender add-ons at the front, and a massive, low-mounted wing at the rear. In fact, scratch that Can-Am remark, the wing alone reminds me of the Jaguar XJR-9 that won the 24 Hours of Le Mans and Daytona in the late 1980s. Besides sporting an aggressive appearance, the E-Runner Concept-One also wears an appropriate racing livery. I just hate it when race cars wear dull liveries, but it’s not the case here. Tajima’s ride is wrapped in three shades of blue — including a French Blue-like hue that reminds of classic Bugatti racers — complemented by white spots and a black-and-yellow wing. 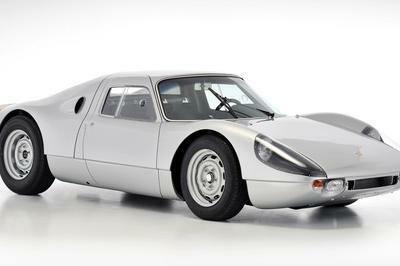 This is a car you simply can’t miss running past you, despite its nearly silent drivetrain. As with most purpose-built race cars, the E-Runner’s cockpit is focused on driver safety. Charging up Pikes Peak is quite dangerous, as one mistake is enough to send you tumbling downhill a long way. It happened several times recently and it was the safety equipment that allowed the drivers to survive. Although Tajima is among the most experienced drivers to race at Pikes Peak, you can never be too careful. The cabin’s main features include a full roll cage, a bucket seat with six-point harness, a quick-release steering wheel, and the necessary buttons and switches on a no-nonsense dashboard (if we can call it that). This is where the E-Runner Concept_One becomes truly spectacular. While Tajima’s previous E-Runners were far from slow, the Concept_One is the most powerful race car the Japanese driver has set foot in. 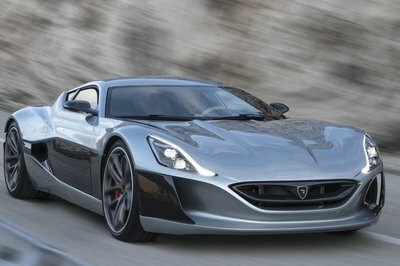 Responsible for this are the four independent electric motors developed by Rimac. Mounted at each wheel and powered by a 57-kWh battery pack, the motors crank out a total of 1,474 horsepower and 1,106 pound-feet of torque. That’s significantly more power than the Bugatti Veyron, the world’s fastest production car, and more importantly, more than twice the power Tajima had in 2014, when he completed the course in 9 minutes, 43.90 seconds. The massive output and the technology behind the Concept_One should enable Tajima to not only best his previous record, but also establish a new record in the Electric Class division. The Concept_One also uses an innovative chain drive system instead of gearboxes and differentials, which Rimac says it was specifically developed for this project and saves "a lot of weight and space." It also features an bespoke racing version of the Rimac All Wheel Torque Vectoring system, which can vary the torque on each wheel depending on the steering angle, speed, longitudinal and lateral forces, yaw-rates, and several other variables. As far as performance goes, the Concept_One is one crazy machine. Rimac says it will hit 62 mph in 2.2 seconds and 124 mph in 5.4 seconds. Top speed is less impressive at 167 mph, but more than enough for a course such as Pikes Peak. The massive output and the technology behind the Concept_One should enable Tajima to not only best his previous record, but also establish a new record in the Electric Class division. The previous benchmark was established in 2014 by Greg Tracy in the Mitsubishi MiEV Evolution III. Tracy’s record sits at 9 minutes, 8.188 seconds, nearly one full minute behind the overall record set in 2013. 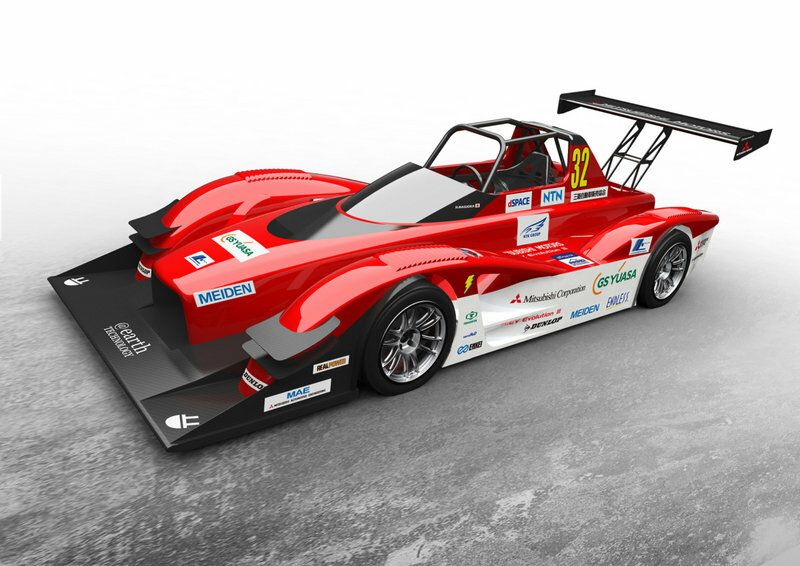 Given Tajima won’t have any technical issues, the Concept_One, which weighs in at 3,307 pounds, has everything it takes to become the fastest EV to climb Pikes Peak in 2015. Although this specific car won’t compete in the 2015 Pikes Peak International Hill Climb, it’s the vehicle Tajima and his E-Runner Concept_One will try to dethrone on his way to setting a new course record for electric cars. The Evolution III was built around the same concept as the E-Runner, using electric motors at all corners. However, the Mitsubishi was significantly less powerful, at "only" 611 horsepower. 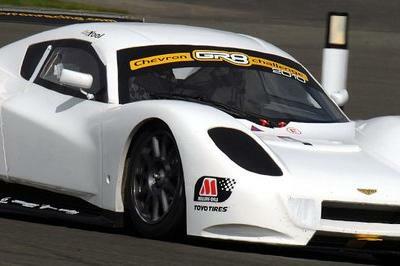 Driven by American driver Greg Tracy, the Evolution III completed the "Race to the Clouds" in 9 minutes and 8.188 seconds, crossing the finish line in second place overall, only a little more than two seconds behind the winner. The PP03 is one of third EVs to run in the Electric Modified class in 2015 and possibly Tajima’s main competitor for the record. 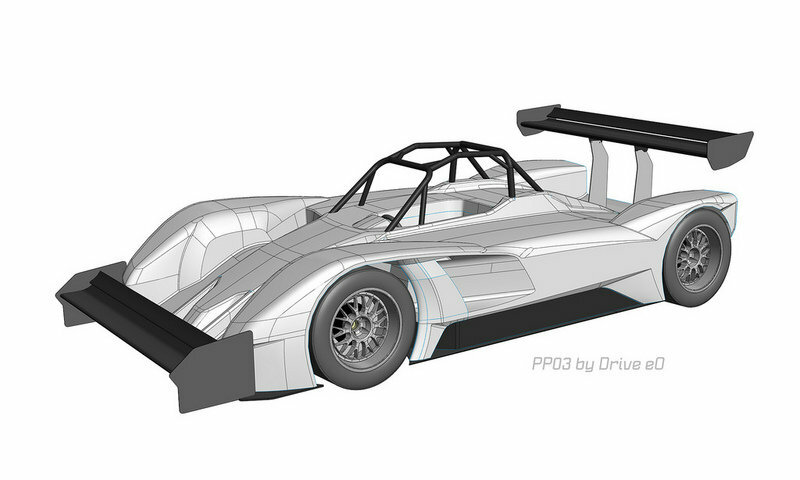 Unlike the Concept_One, the PP03 uses six electric motors powered by a 50-kWh battery pack. Although it’s slightly less powerful than the E-Runner at 1,367 horsepower, the PP03’s peak torque of 1,593 should make a difference up the hill. Not to mention it’s more than 600 pounds lighter than the Concept_One at 2,646 pounds. The eO PP03 will be driven by Rhys Millen, who has previously raced a modified Hyundai Genesis Coupe at Pikes Peak, on top of being a Global Rallycross Championship regular from 2011. The fact that the E-Runner Concept_One has more than twice the amount of power than any other EV ran in the Pikes Peak Hill Climb as of 2015 speaks volumes about how far electric cars have evolved recently. This thing is more powerful than a Bugatti Veyron, and although some might argue it’s just a race car, I bet it won’t be long until this technology trickles onto a production, road-legal vehicle that will smash Guinness records. Meanwhile, the Concept_One is out to set a new Pikes Peak record, and with Nobuhiro "Monster" Tajima himself behind the wheel, we have every chance to witness history in the making at the 2015 Pikes Peak Hill Climb. Team APEV with MONSTER SPORT, led by the racing legend Nobuhiro “Monster” Tajima, teamed up with Rimac Automobili. As a result, 2015 Pikes Peak International Hill Climb Race will have a new 1.1 MW beast at the starting line, the Tajima Rimac E-Runner Concept_One. Rimac Automobili are once again showing their vigorous racing DNA taking the challenge in one of the most prestigious races in the world. Mr. Tajima’s decades long experience in racing and Rimac Automobili’s state of the art technology and know-how brought to life a staggering creation, the Tajima Rimac E-Runner Concept_One. 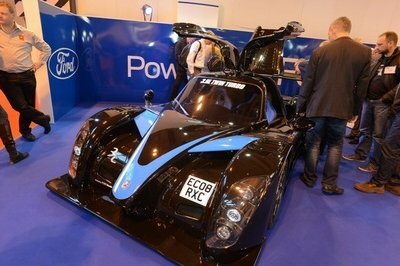 It is powered by four independent electric motors, giving the car a total power of over 1,1 MW (1,475 HP). That is more than twice the power Mr. Tajima had in his 2014 car when he broke his own Pikes Peak record, stopping the clock at 9:43,90. There are no gearboxes or differentials on this car. 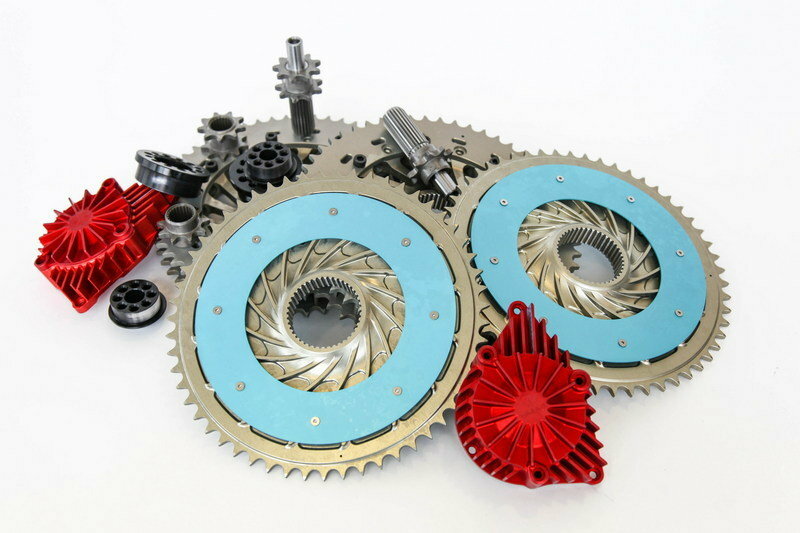 The power of each independent motor is transferred to each wheel by an innovative chain drive system developed specifically for this project, which saves a lot of weight and space. Embracing the Rimac Automobili technology, the Tajima Rimac E-Runner Concept_One features an adapted racing version of the Rimac All Wheel Torque Vectoring system, first implemented in the Rimac Concept_One. 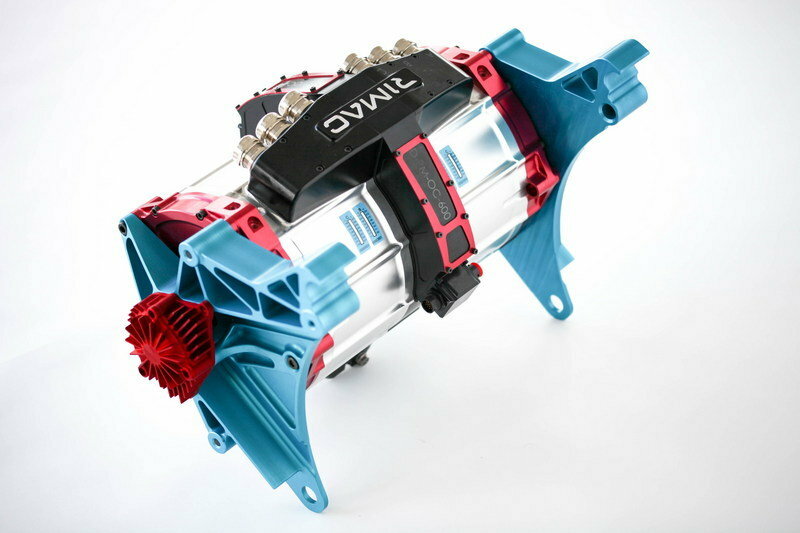 The Rimac AWTV controls the torque of each motor 100 times a second. The system can vary the torque on each wheel depending on the steering angle, speed, longitudinal and lateral forces, yaw-rates and number of other variables. The ECU runs the collected sensor-data through complex mathematical algorithms which calculate the optimum torque distribution on a millisecond-level. This enables the vehicle to take full advantage of the tires, squeezing the maximum out of their potential and giving the driver the desired vehicle dynamics at any given moment. 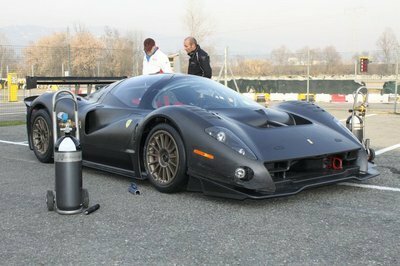 Mr Tajima will thus have both the 1,1 MW of power and maximum grip in each of the Pikes Peak’s 156 corners. “We measured 0-100 km/h in 2,2 seconds. 200 km/h comes in 5,4 seconds from a standstill. Cornering forces and stopping numbers are also impressive, but let’s not spoil the surprise. We are quite confident that Tajima Rimac E-Runner Concept_One will break previous year’s record. He is a great driver with tons of experience. Interesting fact – he raced Pikes Peak his first time a year before I was born. 28 years later, we work alongside to push the limits further. With the support of our best engineers and technicians, our technology, powertrain, battery-system and Torque Vectoring, he will be able to push the boundaries of electric race cars to a whole new level. Working with Mr. Tajima and his team is an amazing experience of which we enjoy every second.” reveals Mr. Rimac. The Pikes Peak hill climb is 19,9 km long and ends up at 4,301 m above sea level. Petrol engines have oxygen starvation problem at that altitude - the power of the engine decreases over 40 percent. However, electric motors don’t use oxygen, so Mr. Tajima will have the full power of all four electric motors available from start until the finish line. The track is 19,99 km (12,42 miles) long, has 156 turns climbing 1,440 m (4,720 ft) from the start at Mile7 of the Pikes Peak Highway, to the finish at 4,300 m (14,110 ft).